Honour House Society is currently on a "Tour of Honour" throughout the Province of British Columbia to raise awareness for the house and its facilities. As part of the "Tour of Honour" an awareness event has been planned. Media are invited to join dignitaries including Mayor Darryl Mussatto, MLA Jane Thornthwaite, and Honorary Lieutenant Colonel Al De Genova, Honour House President for a continental breakfast, presentation and meet and greet to welcome the Honour House and emergency services representatives and learn more about this facility and the services it provides for our men and women in uniform. 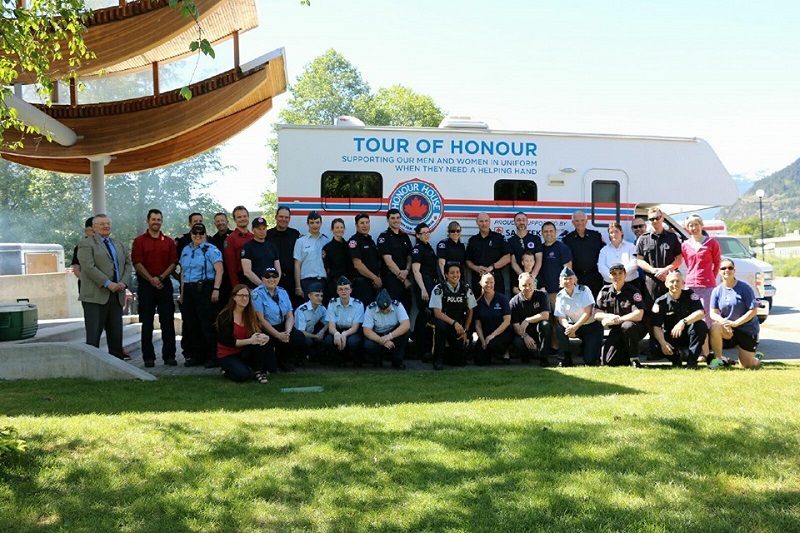 Members of the Canadian Armed Forces, Fire Departments, Municipal Police, RCMP, Paramedics, Corrections, Sheriffs and other uniformed personnel along with many other city dignitaries and organizations will welcome the police escorted Honour House RV and emergency and military vehicles to the event on Saturday. For more information about Honour House, please see their website at www.honourhouse.ca.